Introducing the NEWEST lariat addition. 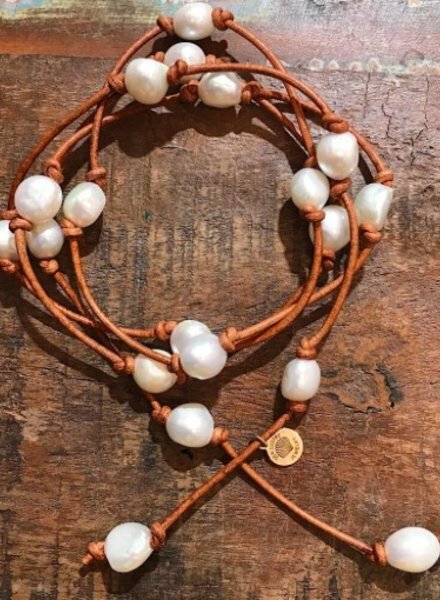 Featuring nugget shaped freshwater pearls hand tied on an open-ended leather cord which means the styling options are endless! Hand tied on naturally dyed grey leather cord, featuring freshwater pearls and pink recycled glass. 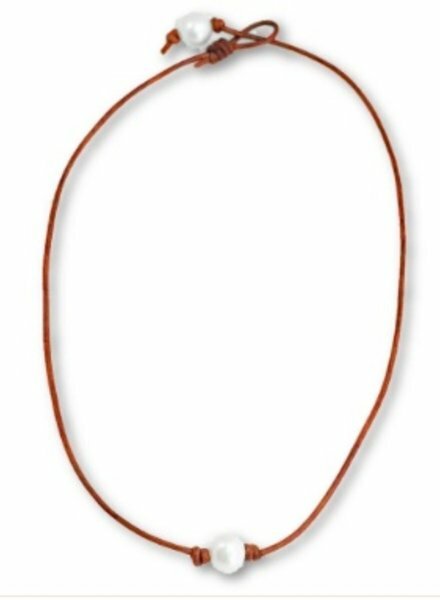 Easy to enjoy long tied with a simple knot or doubled around the neck. It is very versatile with no clasp so the options are endless. The Necklace is designed to fit over your head and features an adjustable sliding clasp so you can adjust the length to make perfect for you. They are fully adjustable, and water proof. This necklace is chic & simple! 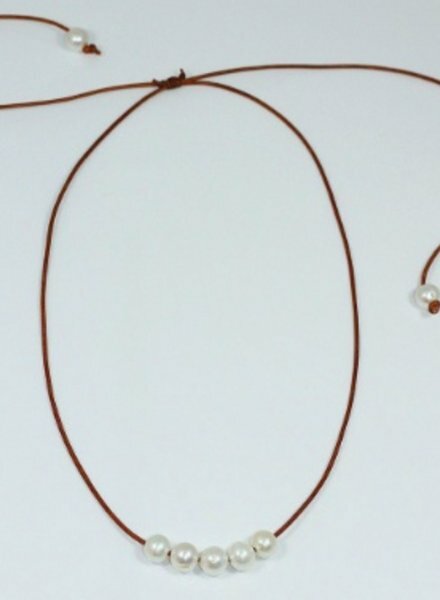 Hand-tied on natural dyed leather & clasps with one freshwater pearl. 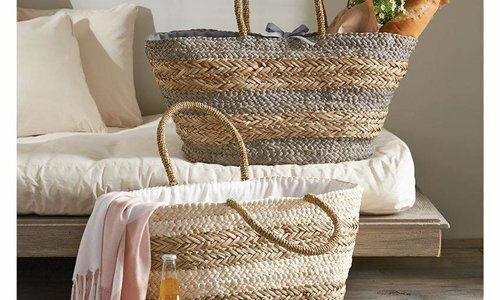 Simple & perfect for layering! 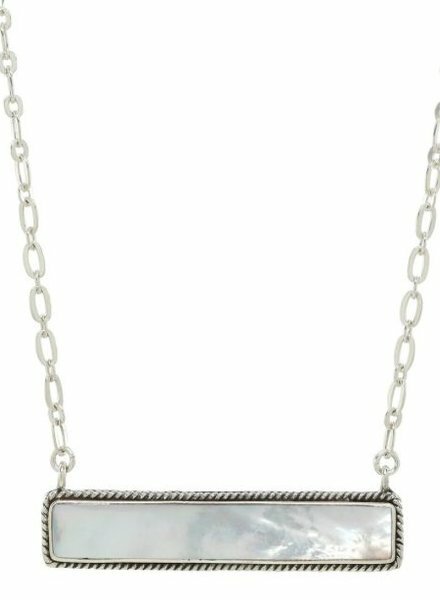 Our handcrafted mother of pearl bar is made in sterling silver and has a 16-18" adjustable neck line. The bar measures 1.5" in length. 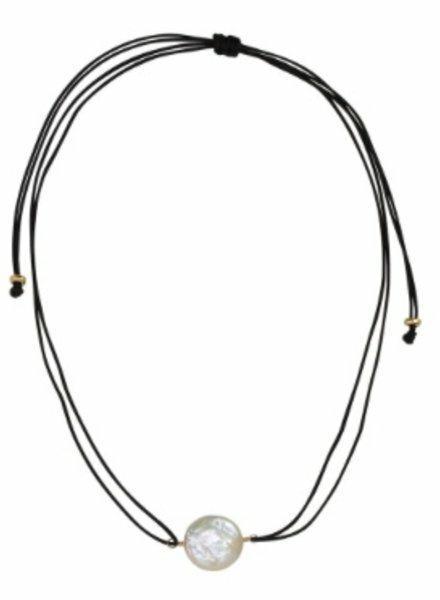 Our Meraki Necklace is the perfect throw-on piece. 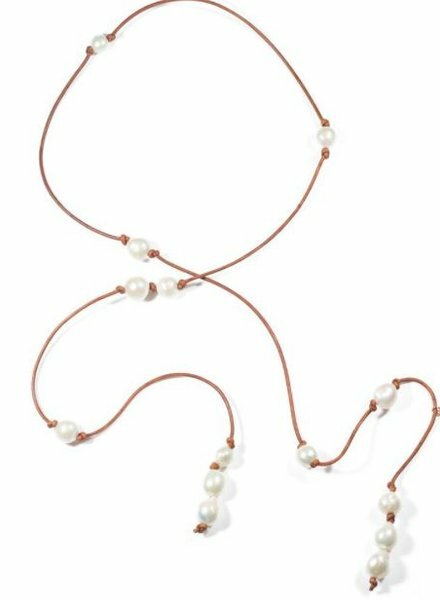 Featuring tapering baroque freshwater pearls, you are able to tie as you wish or leave a simple knot and throw it on and go. Our most popular lariat! 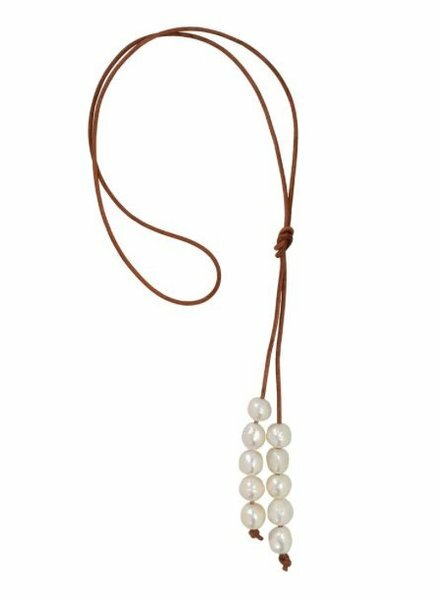 Hand tied on naturally dyed leather cord, featuring large high luster Baroque Pearls. Easy to enjoy long tied with a simple knot or doubled around the neck. It is very versatile with no clasp so the options are endless. The Hadley Choker is handmade on braided white leather with sterling silver components. 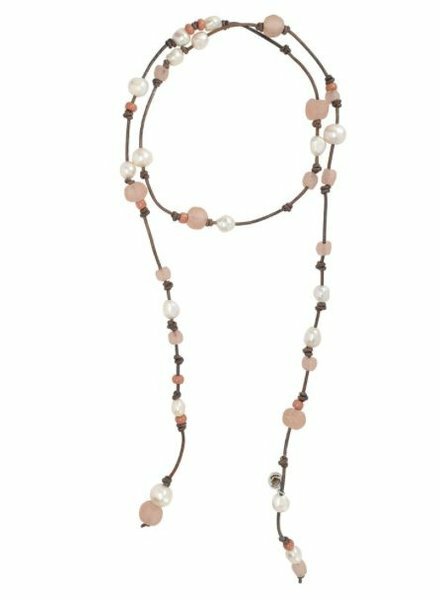 It features one naturally colored peach freshwater pearl, with a 15-17" adjustable clasp. 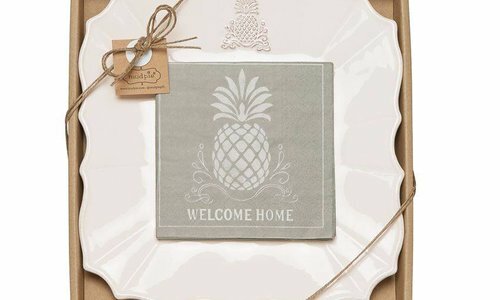 Simple & perfect for layering! 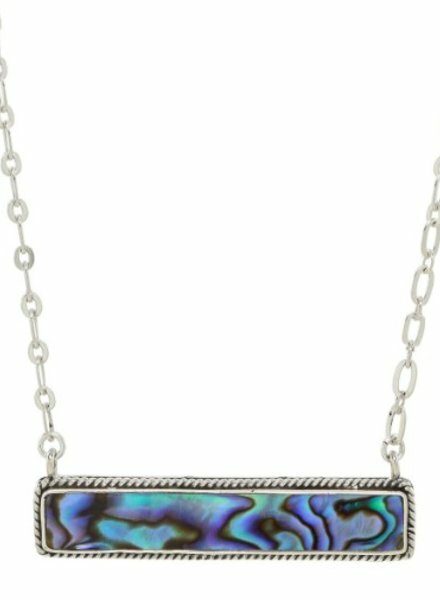 Our handcrafted abalone bar is made in sterling silver and has a 16-18" adjustable neck line. 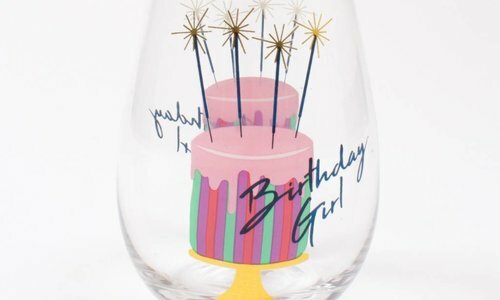 The bar measures 1.5" in length. This beautiful necklace is adjustable! You can adjust the length by pulling each side of the clasp. 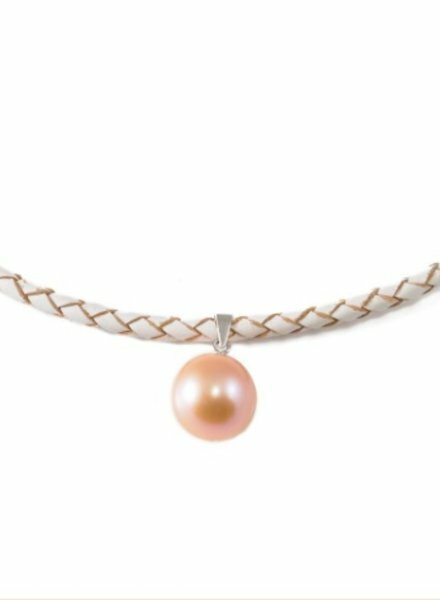 It features five 10-11mm freshwater pearls, and clasps with two additional pearls.